December 8th at 10:00 a.m. with Bill Cloud teaching, worship in the dance as well as praise and worship!! We will Oneg following the service. 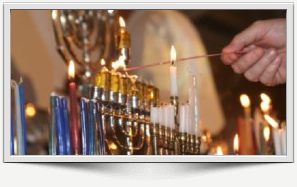 That evening beginning at 5:00 p.m. we will celebrate Rosh Chodesh and have a lighting of the Menorah. Bill was raised in a traditional Christian home in South Georgia. Yet, he has only been truly interested in his faith since the fall of 1988. After being born again, Bill immediately developed a hunger for the Word of God and in particular the Hebraic perspective of the Bible. Under the tutelage of a local rabbi, Bill began studying Hebrew very soon thereafter and has become quite prolific at reading and writing the Holy Tongue. Since then, he has spent many hours studying, not only the Hebrew text, but the Hebraic roots of Christianity as well. This research has been rewarded with a keen insight into Biblical Judaism and its relationship to Christianity. Bill is a featured speaker in venues throughout the country and has appeared with notable teachers such as Hal Lindsay, J.R. Church, Jack Van Impe, John Hagee, Grant Jeffrey, Perry Stone, Tim La Haye, Chuck Missler, the late Yacov Rambsel and the late Zola Levitt. He has also made several appearances on a variety of television broadcasts seen on TBN, Daystar, Inspiration, Sky Angel, WHT, and TCT. 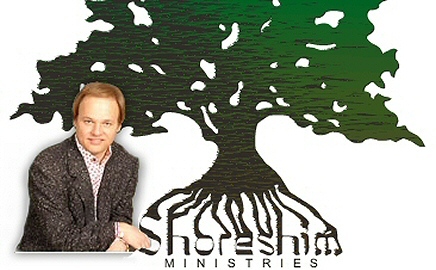 Through Shoreshim Ministries, Bill and his family have launched an effort to re-introduce Christians to the Jewish Y’shua and to educate believers in the Hebraic roots of their faith. As a benefit of this information, disciples of the Messiah can more accurately interpret end-time events and better discern our role in these last days. Bill, his lovely wife Beth, and their children reside in Cleveland, Tennessee at this time. We would love for you to come and worship with us! !